Mix the egg yolk in the leftover mashed potatoes. 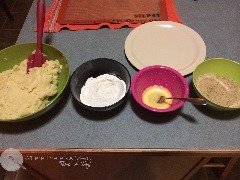 In 3 seperate bowls, add flour, eggs and breadcrumbs. 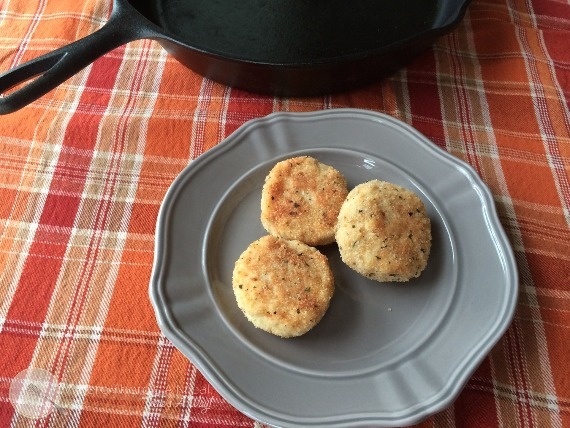 Form mashed potatoes into small patties. 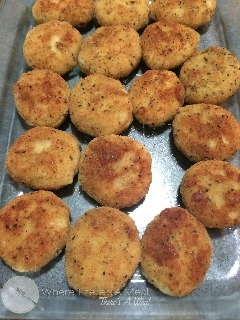 Dip mashed potatoes in flour, then egg and finally bread crumbs. In a frying pan heat oil (I used non-gmo canola oil) over medium heat. 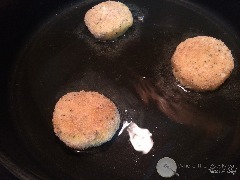 Fry roughly 2-3 minutes each side, or until lightly golden brown. 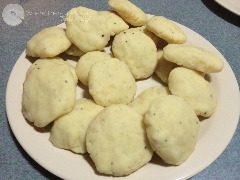 Serve immedietly or place in a greased baking dish and bake covered at 350 until you wish to serve. Got Leftovers? : Freeze in a ziplock bag, then just place in a greased baking dish and bake at 350 until warm all the way though (about 30 minutes). Images taken from "National Cookery Book"
What better a place to find a historal recipe than the first official cookbook of America. 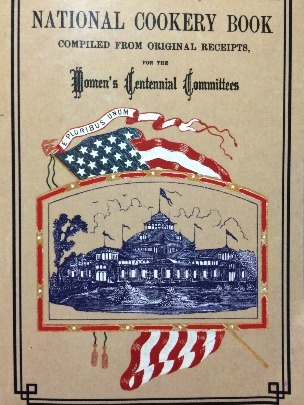 "A number of cookbooks were published in celebration of the one-hundreth anniversary of the United States in 1876, but only one, The National Cookery Book, was directly associated with Philadelphia's Centennial Exposition." (Andrew F. Smith) This book of recipes was put together by the Women's Executive Committee that solicited them from women across the nation. Althought not an exact description of recipes across the country, it is still deemed the first "national" cookbook. The committee sent out a letter that stated that their goal was to "...give the true flavor of American life in all its vareities." Reading page after page gives me great insight into how the meals of our forefathers were prepared. The introduction to the book, written by Andrew F. Smith goes on to say this about the book, "......is valuable from an historical standpoint, it also offers wonderful recipes that can be re-created today by anyone willing to include some trial and error in the cooking process...." So, are you looking for a historic way to revive last night's leftovers? Where there's a meal, there's a way!